← Grazie a tutti i lettori del nostro Blog. Qui i risultati del 2014. Buon 2015! In Italy, conventionally, artificial cavities are the underground works of historical and anthropological interest, man-made or readjusted by man for his needs. 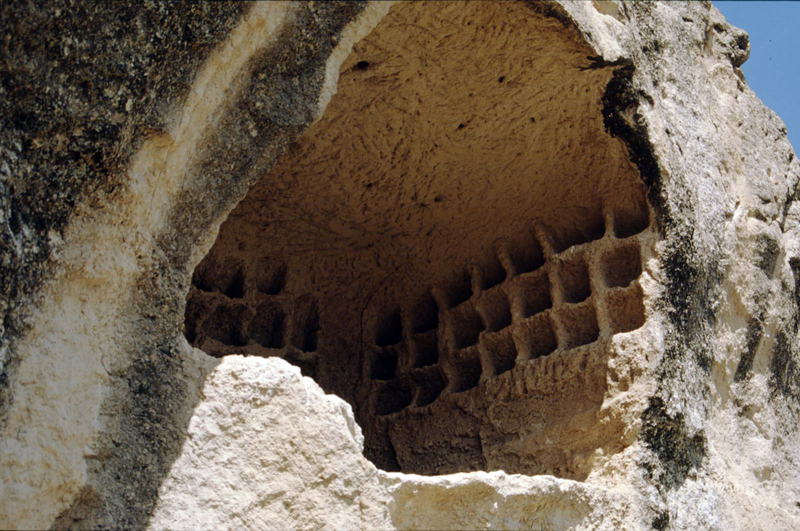 Therefore artificial cavities are considered to include both man-made works (excavated, built underground or turned into underground structures by stratigraphic overlap) and natural caves if readjusted to human needs, at least in part. For example, the natural caves used as shelters in the Alps during the First World War, the hermitages in natural shelters, etc. Both of these sorts of underground space are included in the classification system and site-register “cadastre” (http://catastoartificiali.speleo.it). It is obvious that the size of the “phenomenon of artificial cavities” in a given place, both by number and by extension, is in direct and inverse correlation with the hardness of the rock and, as a consequence, with the easiness of excavation. The characteristics of the cavities present in a given urban area are also closely related to the peculiarities of the site itself, and to its evolution and transformation as well. In many cases artificial cavities go back to a historical period of which there is no longer evidence on the surface. Therefore, cavities are often the only evidence left of pre-existing territorial organizations and of a lifestyle wiped out by the present urban development, owing to new and different needs developed in the course of time. – obtain free areas for productive activities. – the temporal correlation with the general historical events on a general, regional and local scale. The variety of underground artificial structures is very large. Consequently, the classification chosen by the Commission of Artificial Cavities of the Italian Speleological Society to identify synthetically the nature of a cavity is organized like a tree, based on seven main types, in turn divided into sub-types. The use is made easy by alphanumeric codes. Often different uses overlap in time; thus, a single site may have multiple classifications representing different periods in its life.